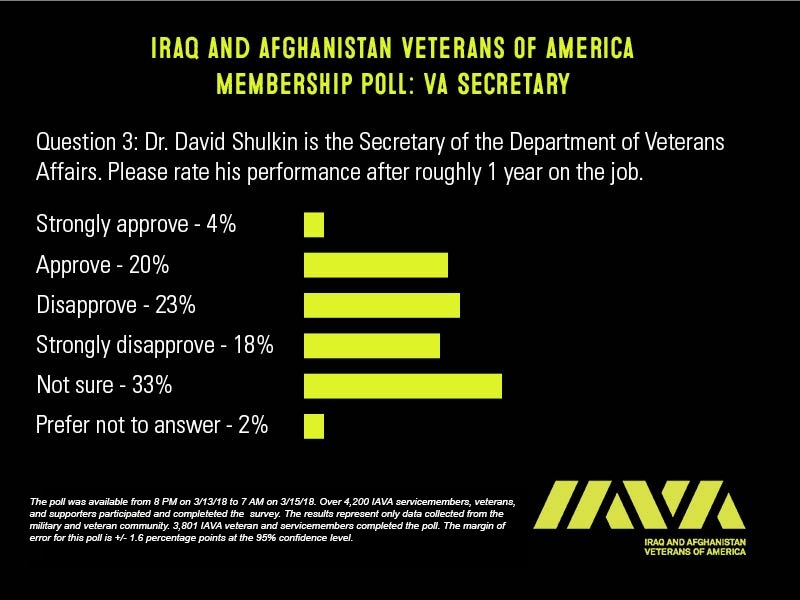 In the past few days, reports have emerged that President Trump is considering replacements for VA Secretary David Shulkin. 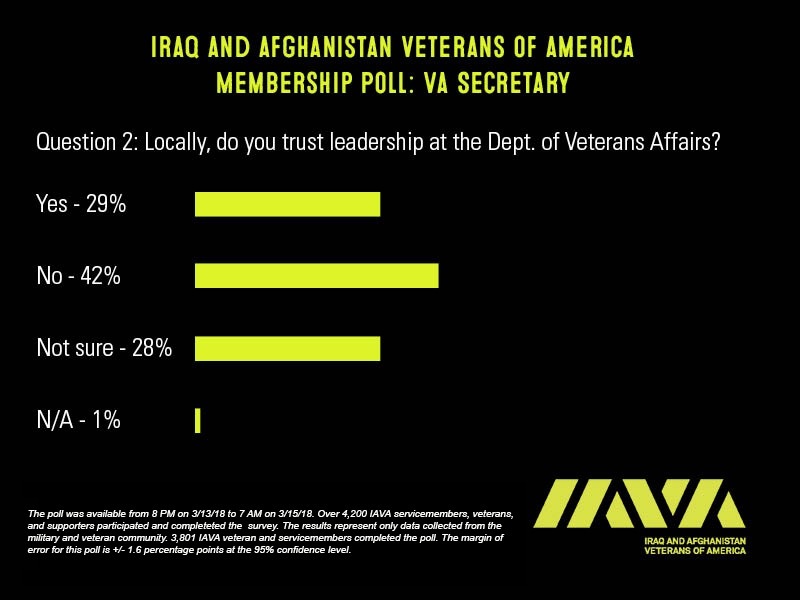 IAVA released a groundbreaking poll of more than 4,000 members in the veteran and military community. 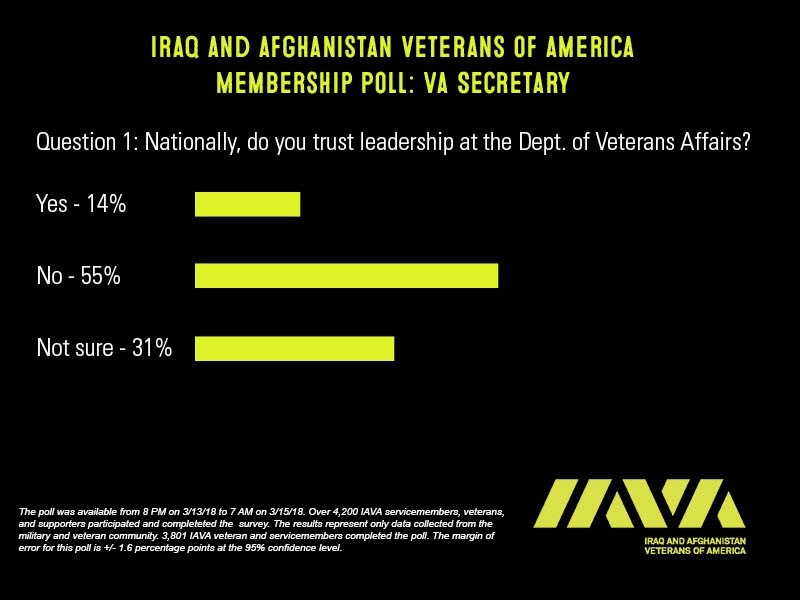 The poll, which is the only public and current poll of its kind, reveals veterans opinions on VA Secretary leadership. Results are below.